Version 2.5 also improves support for Windows Server 2016 and includes several bugfixes and updates to better support previous versions of Windows Server (2012, 2008, 2003). All customers are encouraged to upgrade to this version. 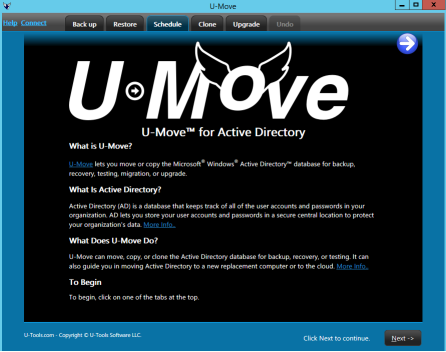 U-Move 2.4 adds support for Windows Server 2016. 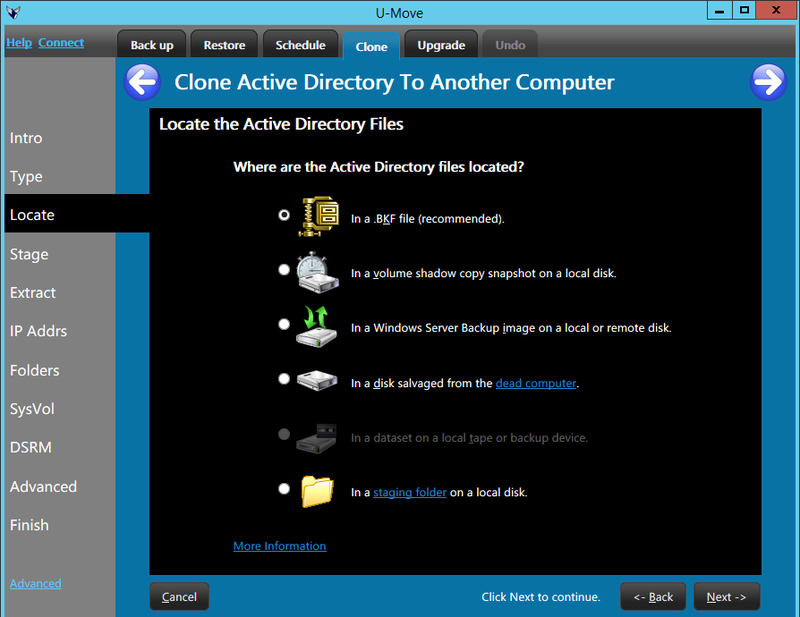 U-Move 2 allows you to move Active Directory to a new replacement computer (or VM) that is running a newer version of Windows server. This is sometimes called a “Swing Migration”. 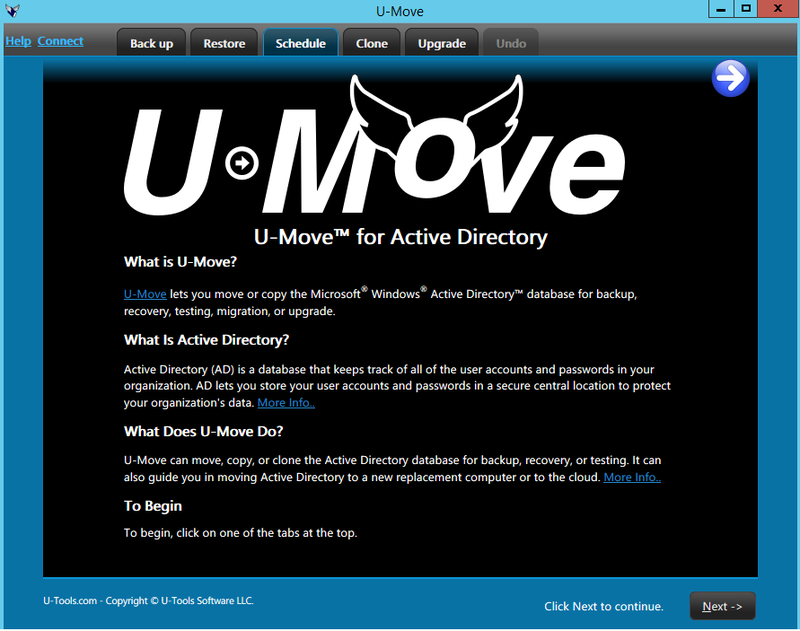 U-Move 2 will guide you through a step-by-step procedure to configure the new server to replace the old domain controller (DC). It will help you move your DNS zones, FSMO roles, and other system settings in your AD configuration. It will also perform over 100 different tests and analyze your AD configuration to advise you of any potential problems that might prevent you from successfully completing the swing migration. 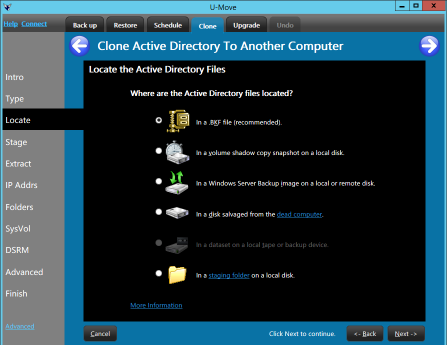 Add support for Windows Server 2012, including disaster recovery capability.